Collection of women's rights organizations charge that Erdan's decision to expand gun licenses leading to more women being killed. A coalition of women's rights organizations filed an appeal to the High Court of Justice arguing that Israel's recently-relaxed gun laws are causing more women to be murdered. According to Ynet, the ten different organizations say that a recent uptick of murders are the direct result of a decision by Internal Security Minister Gilad Erdan to allow veterans of IDF infantry units to obtain personal handgun permits. In addition, the appeal claims that 40% of all women are murdered in Israel by handguns compared to only 28% in the OECD. "There is a clear and proven connection between the extent of weapons licensed by the public and the scope of suicides and murders, especially of women by their families," wrote the appeal. Women's Lobby head Michal Zera added that "twenty-four women have been murdered since the beginning of the year and the lives of about one-third of the women murdered over the past seven years have been killed by firearms". "The facts are that weapons in the public sphere lead to more violence and murder, more suicides and more accidents with weapons that charge the lives of children and adults." 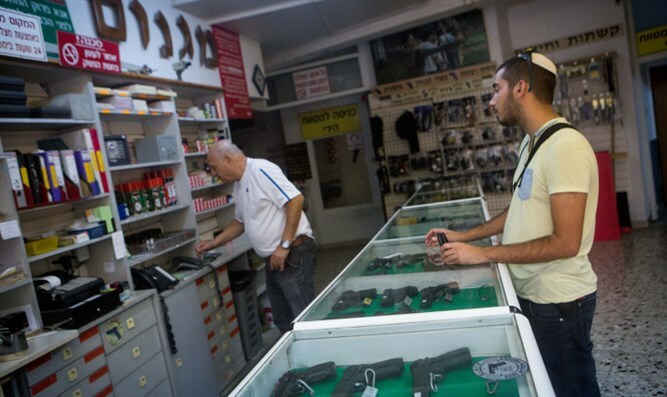 In August, Israel significantly relaxed its regulations governing gun licenses in a move that instantly allowed hundreds of thousands of Israelis to acquire a firearm. Following a decision by Public Security Minister Gilad Erdan, any Israeli who underwent level 07 rifle training in the IDF can now apply for a gun license. All infantry soldiers are certified as 07, in addition to all combat squad commanders and the majority of IDF officers. The vast majority of IDF soldiers aren't combat soldiers and are certified as level 02.